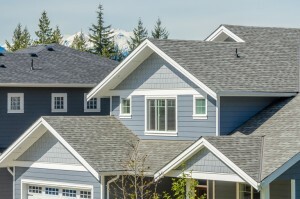 Choose The Leading Roofers In Richmond, BC! Your roofing system fulfills the important role of protecting your home and family from the elements. It makes sense to trust the job of repairing or replacing your roof to Crown Roofing, the only company that has being providing quality roofing in Richmond for over 100 years. Experience is essential to designing and installing the right roof for your home. At Crown Roofing we understand the weather challenges we face, are familiar with every type of roof, and can point to thousands of successful roof installations as proof of the value we bring to every Richmond roofing job. 1. Experience – Not only has our company been roofing in Richmond since 1902, our installation teams are all veteran roofers who take pride in their work and are committed to making sure your roofing system is properly designed and installed. 2. Quality – No cutting corners with cheap materials! We use only brand name products from the industry’s most trusted manufacturers, including GAF Corporation and Owens Corning. 3. Service – We actually make the roofing experience a pleasure for you. From our easy-to-understand written estimate, to frequent communications about your project, to a thorough site clean up after we’ve completed our work. 4. Peace of mind – Your roof will be protected by the industry’s most comprehensive manufacturer warranties and our own guarantee of quality workmanship. The best choice among roofers in Richmond is clear: Crown Roofing has the proven experience and expertise to deliver quality work and long-term value.